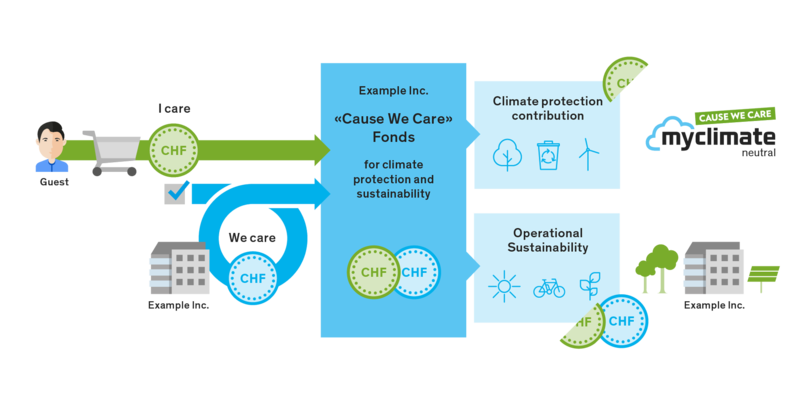 myclimate “cause we care” is a customer- and company-based sustainability initiative for Alpine and outdoor tourism. The programme gives tourism service providers and guests a tool so that they can do something on a voluntary basis to combat climate change, which is becoming ever more noticeable. A “cause we care” company offers its guests the opportunity to purchase a climate-neutral service, while promising to double their contribution and implement sustainability measures locally. The guest thus enables global and local climate protection and service providers receive additional funds for sustainability measures. In this way, the issue can be addressed step by step in their own companies and their efforts can be actively enhanced through the networking of all participants. The exchange of innovations, the reach of communications, including cross-marketing, and the involvement of customers, as well as the associated awareness raised among guests, also create a basis for a movement. myclimate “cause we care” is open to all institutions in the tourism service chain.